This is a gorgeous silver & plique a jour enamel box designed and made by Jean Wilkinson. 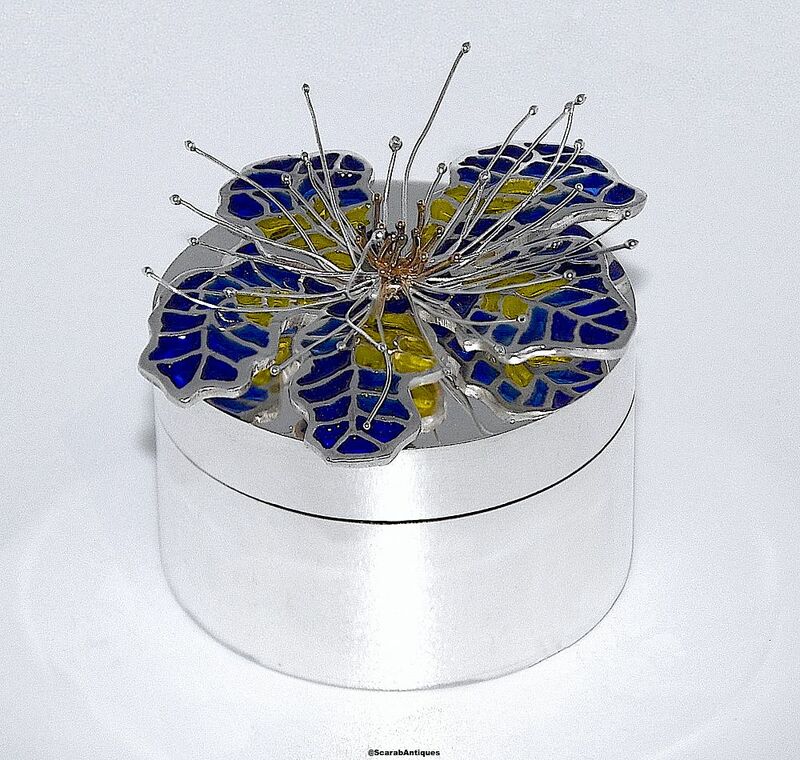 The round silver box has a silver & plique a jour clematis in blue & lime green with silver & 9ct yellow gold stamens. The base is hallmarked by the London Assay Office for silver and 2018 and bears the sponsor's mark "JW" for Jean Wilkinson.